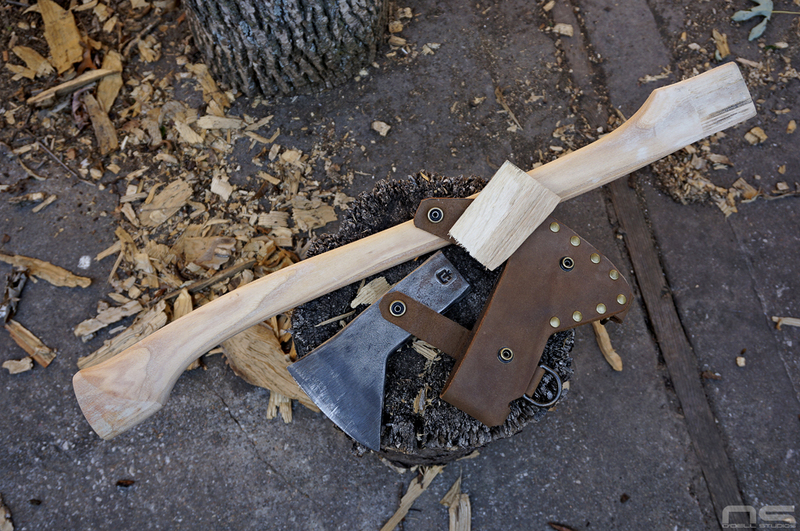 Like an awful lot of axe and outdoor enthusiasts today, the Hudson Bay pattern axe aesthetic catches my attention. While I do tend to find functionally lacking, but attractive looking objects to be flawed and therefore less appealing, I also believe firmly that beauty has a certain kind of functional necessity. With that said, like many popular things, the Hudson Bay pattern has begun to gather a cult following of consumers who view them through rose colored glasses. 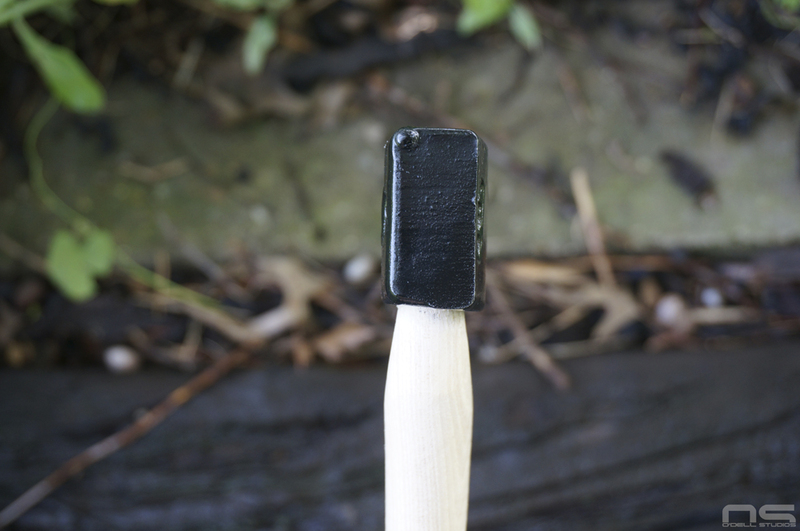 Soon the humble axe is imbued with mystical attributes, elevating it from good to infallible. Unfortunately, the prices of vintage Norlund, Collins or Snow & Nealley Hudson Bay heads have reached lofty heights in line with the perceptions now associated with them. 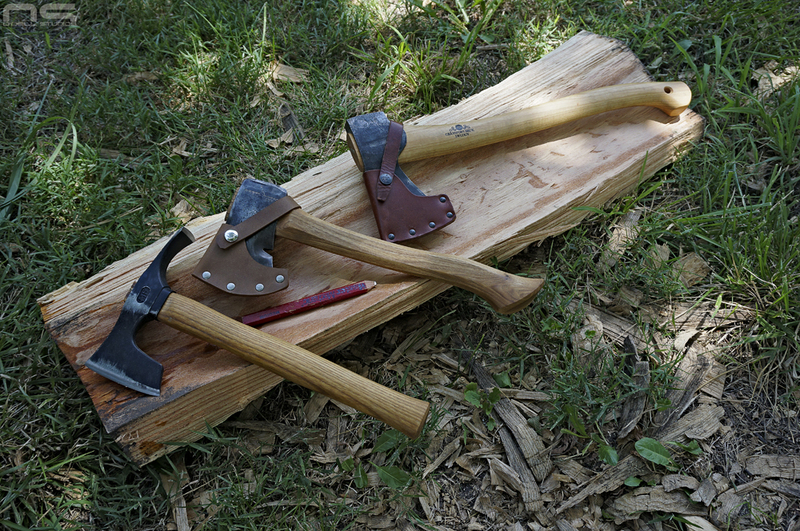 I never personally found them to be as alluring as some people, but I am interested in axes and enjoy exploring different patterns and even tools from other countries of origin. 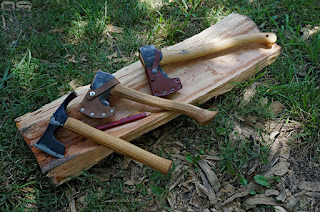 After all, the axe has existed in some form in probably every culture on Earth and has a long and fascinating relationship with the development of human-kind. But I'm not sure I am interested at $70 or more and the associated bidding war on ebay to get one. 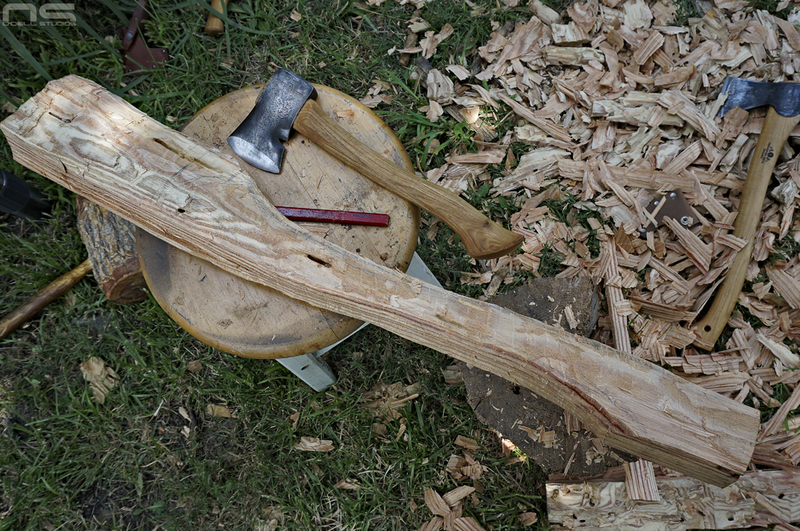 Council Tool offers a Hudson Bay axe for about thirty or forty bucks with a handle. 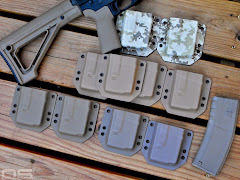 Of course there is the Velvicut line, and it gets all the attention, but their regular line is very budget friendly and I am happy to support an American company that works hard to bring affordable tools to the market. In fact, at that price, I really don't understand most of the other offshore produced options that are out there right now. I am alluding to some inherent flaw with the Hudson Bay pattern that not everyone will be familiar with. I wouldn't necessarily call it flawed. When I look at the axe I see a design that resulted from an attempt to produce a simple, lighter weight multipurpose outdoors tool. It resembles a large tomahawk with a poll. It doesn't have the raised cheeks of a felling axe. For all intents and purposes it looks a little like someone took a full-size axe and whacked a big chuck out of it in order to lighten it up. The result is an easier to manufacture axe that's sufficient for the light duty tasks it was intended for. The shallow eye does not offer the kind of contact with the handle that a larger axe does and under heavy use there is the possibility of the head coming loose. 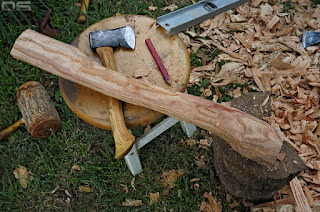 What's more, the head is bit heavy and has a significantly different feel in the hand when compared to a true poll axe with perfect balance bit to poll. 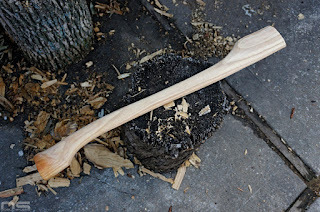 I don't know exactly what lead to the creation of the Hudson Bay axe, but it looks like a piece of square stock with the bit end mashed out and a hole drifted in for an eye. It seems cheap to produce. Somehow in the back of my mind I can't help but think that perhaps the truth has more to do with visual appeal than I am giving credit for. Attractive things sell. 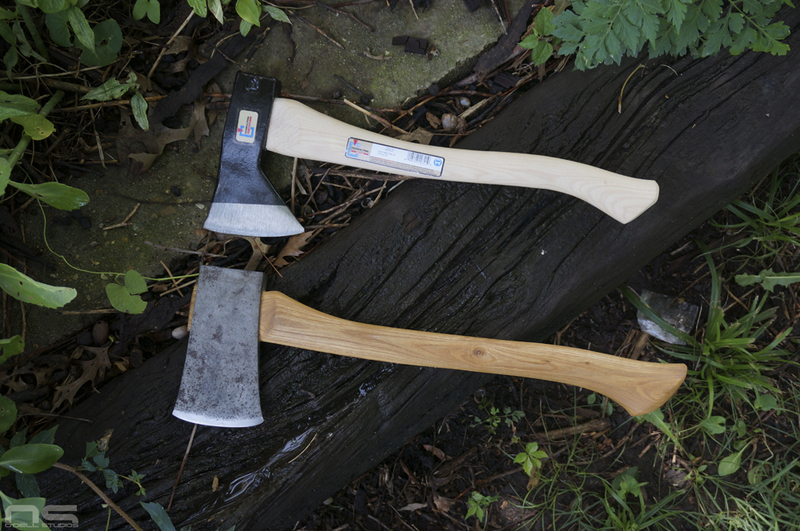 But is there anything especially attractive about Council Tool's standard line of axes? Honestly, not really. The black paint strikes me as simultaneously superfluous and cheap. One has to consider the target audience while also looking at the paint slathered history of axes. I will say however, if you are going to use color to differentiate yourself on the shelf, black isn't the way to go. Even the specific angle at which the paint terminates before the edge seems odd to me. However, this is not a review of Councol's Hudson Bay axe, I just want to toss out some of my observations concerning the example I received. I actually thought the handle that came on it was pretty well done. 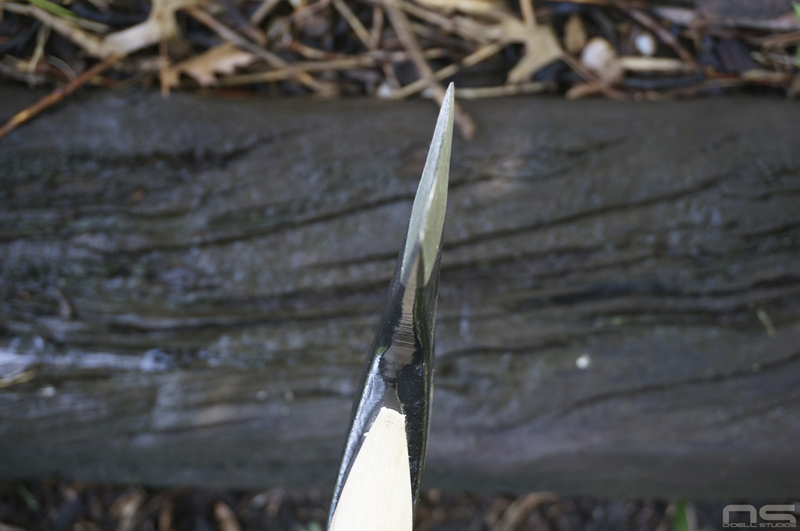 Overall the handle was appropriately thin, and while the swell wasn't generous, it was better than typical, especially in shape. Mine had excellent grain orientation all around and the handle was the most surprising feature. 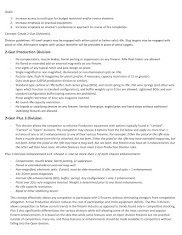 I'll let the pictures tell the story in detail but if I had to give a general opinion of this specific product I would break it into two parts. First, I don't think a 2lb head, especially the unbalanced Hudson bay pattern, is a good candidate for an 18" handle. 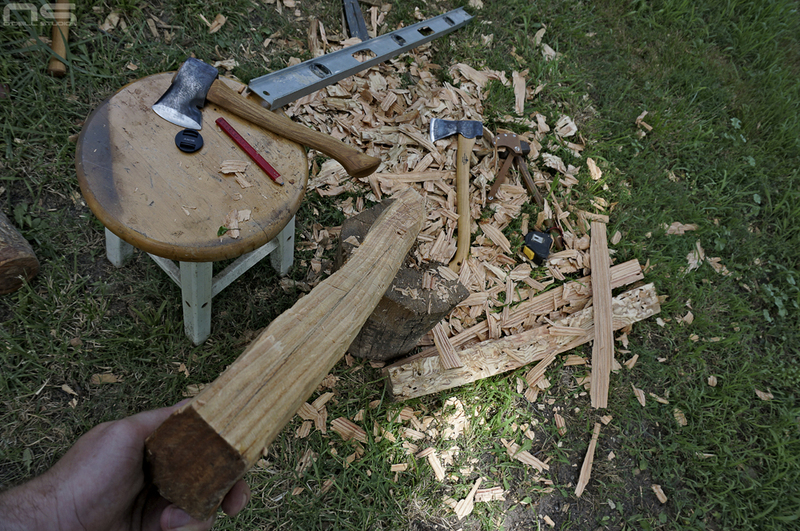 It feels unwieldy when compared to a balanced hatchet of about the same weight and length. 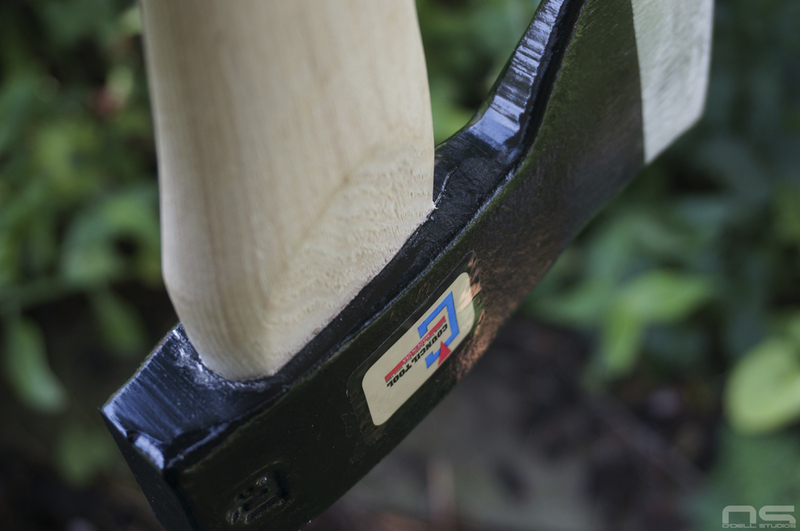 For someone who wants maximum heft but the shortest useful handle length, it works, but you'd be surprised what a couple inches can give you and stepping up to the 24" arena where the heavier HB was intended to be, it really becomes a multipurpose tool. For the second part, I would say, yeah if it's what you want, go for the Council Tool. 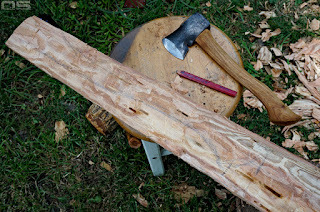 It's got some issues that we'll cover but what I see when I look at it is a simple basic tool made affordable and left a little rough so that you don't have to pay for the time spent making it pretty. Do I think Council could do a couple things differently and still keep it low cost? Yeah. If you're like me and you'd rather put in a little elbow grease yourself instead of paying someone else to do it, then it's a bargain. Next to a Craftsman on a handle a couple inches longer and overall weight just 2 ounces heavier - 2lbs 10oz. 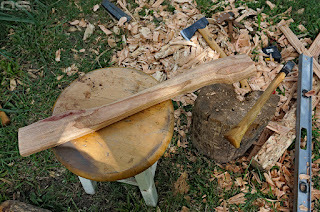 A balanced poll axe and the extra length makes it feel far more nimble and even lighter in the hand. This Craftsman is for sale - contact me if you're interested. The haft is one I made from Ash, from tree to tool. Uneven grinding leaves the head out of square. The biggest issue is the uneven grind on the bit, putting a bend in the cutting edge. I had no complaints about the hang. It was tight and well done. But you know what, I expected all of this. On a basic tool like this the handle is likely to be hit or miss and even when it's a miss, it may very well serve the user just fine. I expected rough grinding and a dull edge. I like the idea that I can get a basic tool because my intent is to put in a little sweat equity and make it nice. All I require is a good enough steel with an acceptable heat treat. The belt grinder and angle grinder can help me sort out the rest. Step one, before I even ordered the head, was to start roughing out a handle. I recently got a Locust stump from a tree service after borers had killed it. It was thornless so I hoped that it was a Black Locust. However, I believe it is probably a thornless hybrid Honey Locust. Does it make any difference? I have no idea. I moved forward with the project regardless. So the primary issue with my Locust was that it had a slight twist in it and really wide growth rings. 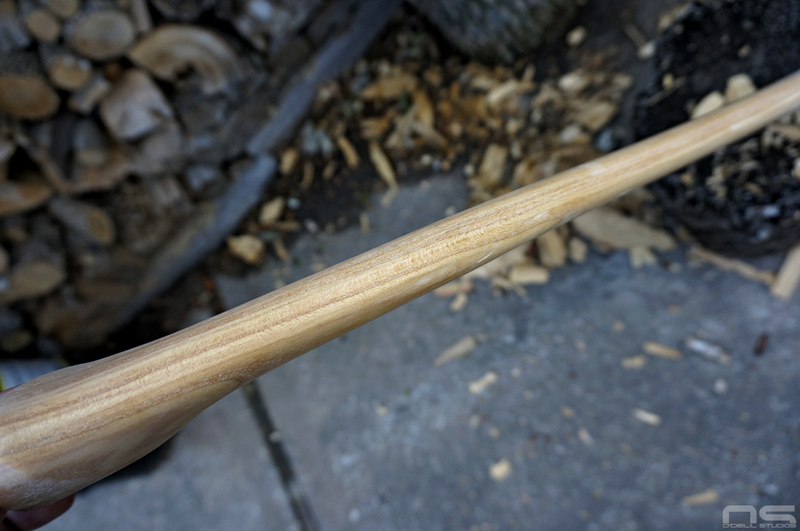 Again, I have no idea if the size of the growth rings makes much difference on this particular species of wood, but if there is some bend in the grain, it's that much more difficult to keep the grain running the full length of the finished handle. Here you can see the bend in the grain but ultimately it worked out fine. 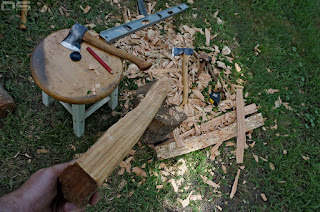 I was able to keep most of the grain running throughout the handle. I also set out to make a sling and sheath much like Council Tool offers, so we'll finish off this post with a shot of the head cleaned up, the handle ready for the final seating, wedge made, and sheath assembled. The head was just a matter of squaring up the grinds where the flashing had once been, then truing up the bit - slowly and carefully, with a water bucket at hand to keep things cool.